Hamish and Adam are invited as guest tutors in flute, piano, composition and fiddle on the prestigious BA course. 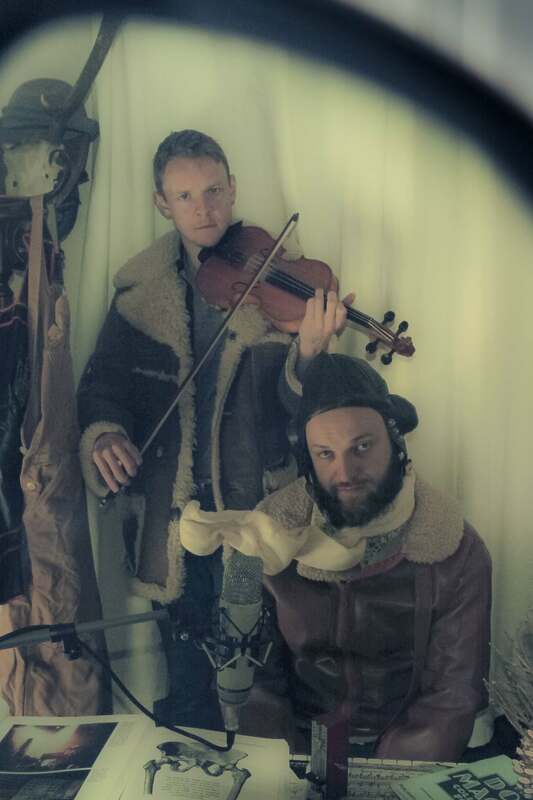 The brilliantly audacious duo of multi-instrumentalist/singer Hamish Napier and fiddler Adam Sutherland, Nae Plans enshrines their manifesto in its name: they perform without prior discussion of material, revelling instead in session-style spontaneity. Sharing their set are the closely blended voices and guitar/mandolin skills of Jenn Butterworth and Laura-Beth Salter, before all four musicians line up – with US percussion legend Steve Foreman – as The Blas Collective, rounding off the night in suitably mighty style. The concert will open with the awesome Jeremy Kittel Trio! Edinburgh Fringe, Scottish Story Telling Centre, The Royal Mile. PLEASE NOTE: Mon 22nd is an evening show (9.15pm), Tue 23 & Wed 24 are lunchtime shows. 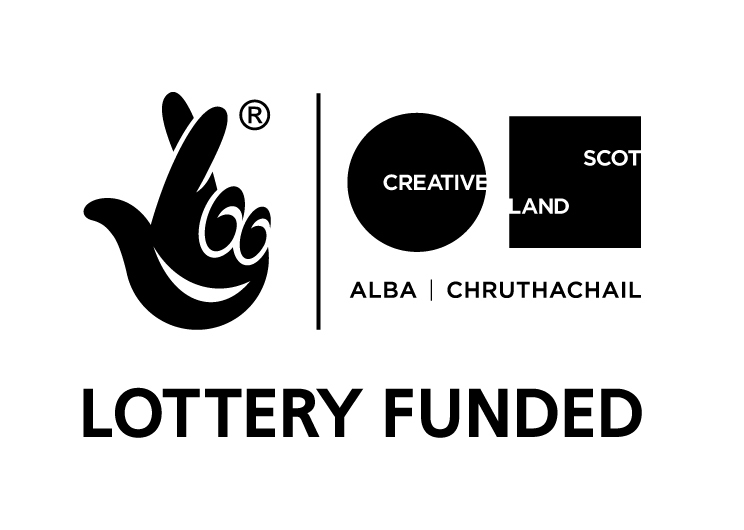 Daytime Nae Plans Workshop at Fèis a’Bhaile (Thu and Fri) Details here Nae Plans Performance (Fri) at Fèis a’Bhaile 25th Aniversary Concert, One Touch Theatre, Eden Court Theatre, Inverness. If you would like to reserve tickets for the gig and/or workshop, please email tradsoc@st-andrews.ac.uk. The gig is £8 or just £6 for students (if you can present an old T-shirt that smells of burnt toast as proof on entry). The workshop is very reasonably priced at £5! Workshops are open to players from multiple genres of acoustic music. St. Andrews University Student Union, 1.30pm-2.30pm. Designed for the tune players, Adam will explore harmonic ideas to help guide you to finding your own melodic style and rhythmic approach. Highly informative, inspiring, totally zen and extremely uplifting for the soul! Running simultaneously with Adam’s workshop, Hamish’s class is designed for the chordal accompaniment players and rhythm players. This will not be dull. Within the space of 1 hour Hamish will teach you about chords, modes and groove through a method that is, quite frankly, astoundingly clear. EUREKA! Everyone that attended the 1.30pm workshops will come together in one giant class to make music that will defy the boundaries of folk, Western classical, and the outer reaches of jazz as we know it. Expect tears of joy. Boys Brigade Hall, doors 7pm, starts 7.30pm. Hamish and Adam take to the stage for a completely unplanned, unarranged and terrifyingly unhinged setlist – a rollercoaster of a ride! ULLAPOOL. The Ceilidh Place, Wester Ross. 8.30pm. Tickets at the door or book in advance here. 01854612103. ISLE OF LEWIS. An Lanntair, Stornoway. 8.00pm. 01851708480. Tickets at the door or book in advance here. ISLE OF SKYE. The Old Inn, Carbost. 3pm. Free entry. GLASGOW. The Riverside Show, 7pm, STV. ORKNEY. The Albert Hotel, Kirkwall. 8pm. Free entry. More info call 01856876000. HOY. Gable End Theatre, Orkney Islands. 8pm. Tickets at the door or book in advance call 01856701301. WICK. Pipe Band Hall. 8.30pm. Tickets at the door or book in advance call 01955603080. Sunday 23rd Nov 2014 – afternoon gig! DRUMNADROCHIT. Glen Urquhart Public Hall (A.K.A. Blairbeg Hall! ),, by Loch Ness. 4pm. Tickets at the door or book in advance call 01456450757. Tuesday 25th Nov 2014 – afternoon gig! Scots Trad Music Group ‘Cafe Ceilidh‘ St.Andrews Day Celebration. GLASGOW. FOLKLUB, The Admiral Bar, 8pm. Tickets at the door only. GLASGOW. LISTEN LIVE on Celtic Music Radio ‘Trad with Pad’ with Gordon Hotchkiss. 6pm-8pm. Radio broadcast event only. ISLE OF MULL. An Tobar, Tobermory. 8.30pm. Tickets at the door or book in advance call 01688302211. GRANTOWN-ON-SPEY. Cherrygrove House Concert, ‘Nae Plans Homecoming concert’. 8pm. Saturday 6th Dec 2014 – End of Tour Party Gig! ANGUS. Hatton Castle, Newtyle. 7.30pm. Tickets at the door or book in advance email: hattoncastle@gmail.com or call 07720885387. Adam and Hamish are off to Cape Breton for the epic Celtic Colours Festival in mid October! Thursday 16th Oct 2014, 07:30pm. Friday 17th Oct 2014, 07:30pm. Nae Plans is hitting the road in 2014! The live performances are consistent with the ‘Nae Plans’ ethos and are therefore very daring but also very liberating. Audiences can experience creativity at the moment of conception and enjoy the outstanding and thrilling musical intuition of two of Scotland’s foremost musicians. The live performances display a kind of electricity and excitement by the off-the-cuff nature and highlight every nuance. As they allow themselves the freedom to experiment, ‘Nae Plans’ becomes ‘Nae limits’. Nae Plans launched in Edinburgh and then Glasgow in December, featuring the premiere of the ‘Folkumentary’ by Somhairlie Macdonald, interviews about the project with David Francis and Simon Thoumire, respectively, and a live set from the boys.